This Ambidextrous 8" Bent Handle Kevlar Scissor is specially designed for cutting Kevlar fabric. Kevlar material is extremely difficult to cut with most normal everyday Scissors. When cutting Kevlar with normal Scissors material slide occurs. Kevlar Scissors with Micro-serrated blades allow the user to effortlessly and cleanly cut Kevlar fabric. 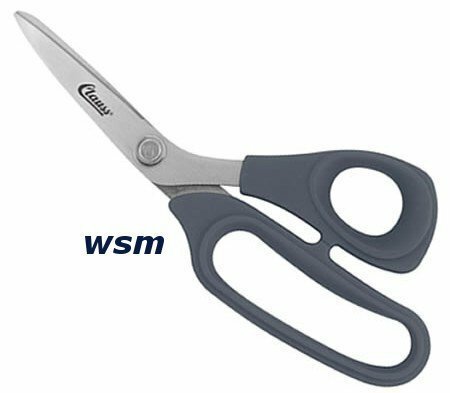 Clauss the manufacturer also recommends using Kevlar Scissors for cutting plastic, canvas, upholstery and other hard to cut materials. The blades are made out of High carbon alloy steel with molybdenum and vanadium blades which are extremely durable and retain their sharpness more than any other Kevlar Shear available.